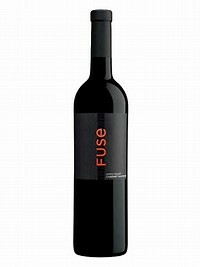 The 2013 Cabernet Sauvignon Fuse is a smaller cuvée of 2,000 cases of 90% Cabernet Sauvignon, with the rest Cabernet Franc. It is to be positioned in the market between the inexpensive Edge and the more expensive Signorello estate wines. This wine was still in barrel, and shows loads of espresso roast, blackcurrants, and hints of white chocolate and spice box in an elegant, yet authoritative, medium to full-bodied style. It should be a satisfying and popular wine when released.